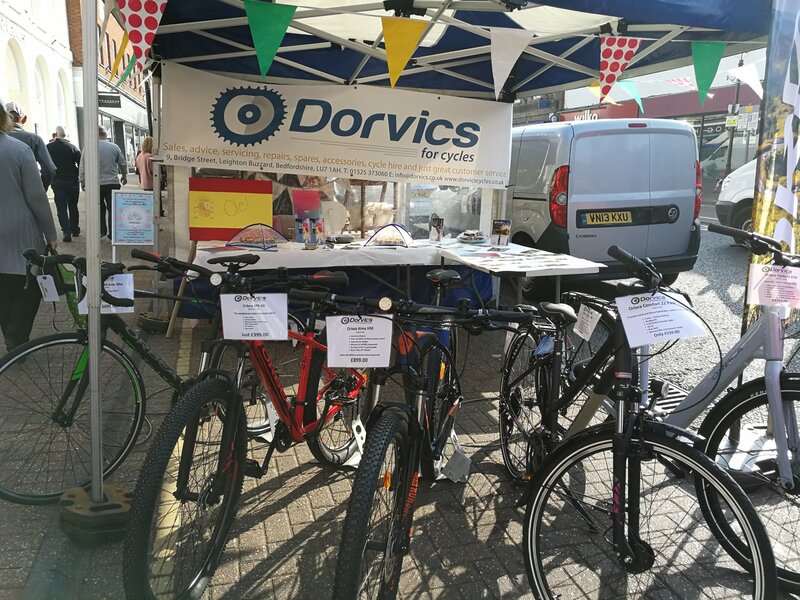 [ A bright sunny day on the last Saturday of March brought people into town to enjoy the warm weather and warm welcome from Dorvics own market stall. 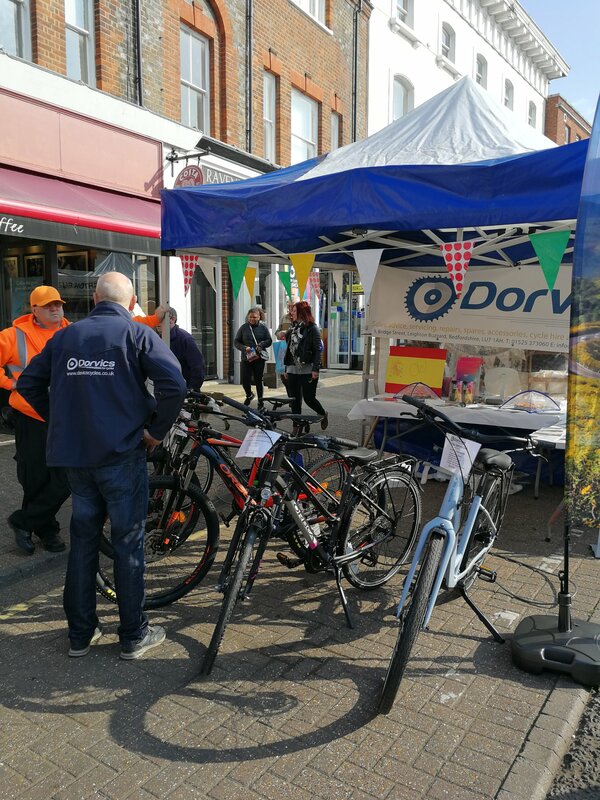 Chocolate brownies were handed out as the stall promoted the new Orbea brand which are a complete range of bikes developed in Spain.The Basque country is proud of it’s strong history of sport and cycling. The Orbea brand started there in 1930, born from a manufacturing company. Orbea is renouned for its particular quality and success in building professional racing cycles. Their ongoing development has meant Orbea have also extended their same high quality into the production of mountain bikes.One shopper stopped when he saw the Spanish flag on the stall. He was born in Barcelona and very familiar with the Orbea brand, which is apparently the biggest in Spain.The range is now available at Dorvics with the team able to advise on the right style and size. Many shoppers commented on the look of the bikes and three mountain bikes were sold. It does surprise me how the colour of a bike can make such a difference to choosing the right bike for most people. Personally, I don’t mind what colour the bike is, as long as it works and it’s red!